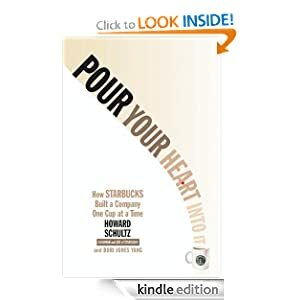 Today Amazon offers Pour Your Heart Into It: How Starbucks Built a Company One Cup at a Time by Howard Schultz just for $1.99. Howard Schultz is the chairman, president, and CEO of Starbucks and the author of the New York Times bestseller Pour Your Heart Into It. 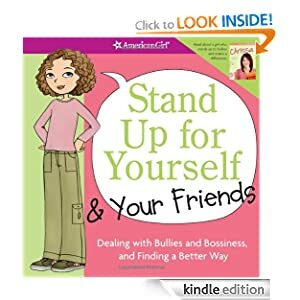 Also Amazon suggests to buy 2 books for girls which can help them feel confident in a variety of tough situations, and teach how to spot, and speak out against, bullying. Quizzes, quotes from other girls, and “what do you do?” scenarios present advice in an age-appropriate, digestible way. The message in this book is that there is no one right way to deal with bullying. Instead, there are lots of options for girls to try, from ignoring a bully and trying a few clever comebacks to reporting bullying to a trusted adult. Readers learn how to stand up for others and be a good friend, too. The book ends with a pledge girls can sign, plus tear-out tips for girls to share with their parents. Girls will learn to take charge and feel confident in a variety of tough situations, from being threatened by a bully to getting caught in an earthquake to falling down the stairs at school. Problem-solving strategies and tips from experts empower girls, and warm writing and humorous illustrations keep the book’s tone light. 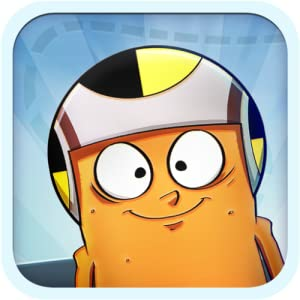 Also you can get Critter Escape for free only today. This entry was posted in Kindle Applications, Kindle Apps, Kindle Books, Kindle Daily Deal and tagged Critter Escape, Howard Schultz, Pour Your Heart Into It, Smart Girl's Guide to Sticky Situations, Stand Up for Yourself and Your Friends by Paul. Bookmark the permalink.